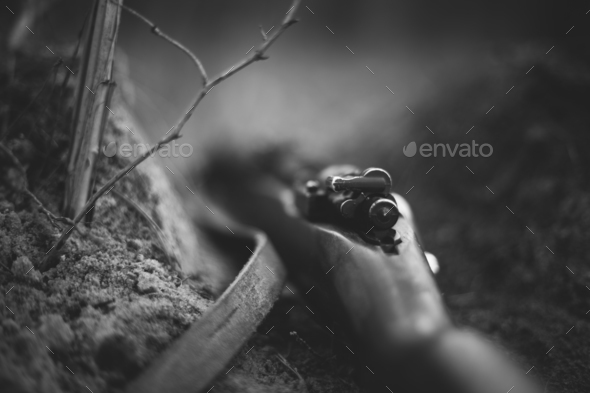 German Military Ammunition Of World War II On Ground. Rifle Close Up. Photo In Black And White Colors.